New 10" Surface Go is perfect for all your daily tasks, giving you laptop performance with tablet portability, all-day battery life*, a stunning touch screen, and the Windows you know. Browse, shop, and manage email with ease, unwind with your favorite TV shows, and much more. Get powerhouse performance and amazing graphics with the Surface Book 2, a robust laptop, tablet, and portable studio in one with up to 17 hours of battery life. * Now available with a stunning 13.5" or 15" PixelSense Display, designed for Pen* and touch. Better than ever, Surface Pro gives you a best-in-class tablet, plus the versatility of a studio and laptop. The stunning PixelSense Display supports Pen* and touch, while the refined design provides 50%* longer battery life than Surface Pro 4. 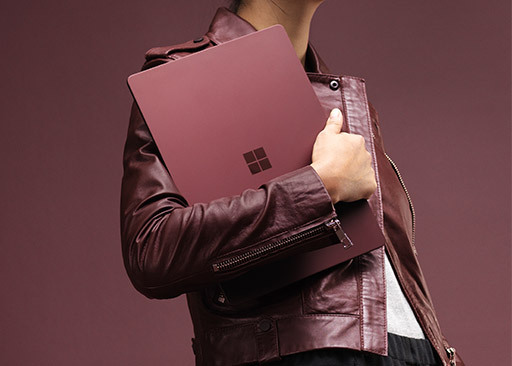 Backed by the best of Microsoft, including Windows* and Office*, Surface Laptop complements your style with rich colors* and a natural typing experience enhanced by the Signature Alcantara fabric-covered keyboard. Thin, light, and powerful, it fits easily in your bag. 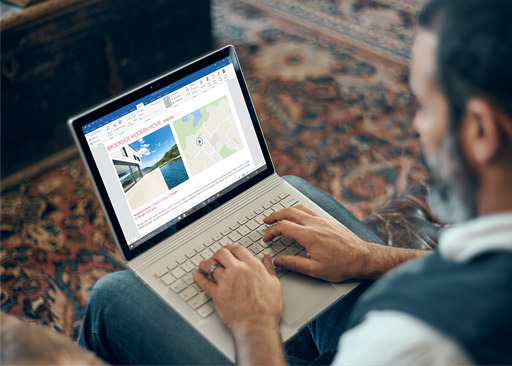 With Windows 10, get faster start-ups, a familiar yet expanded Start menu, and great new ways to work across multiple devices. * You'll also love the innovative features in security, an all-new browser, plus Cortana, your personal digital assistant. 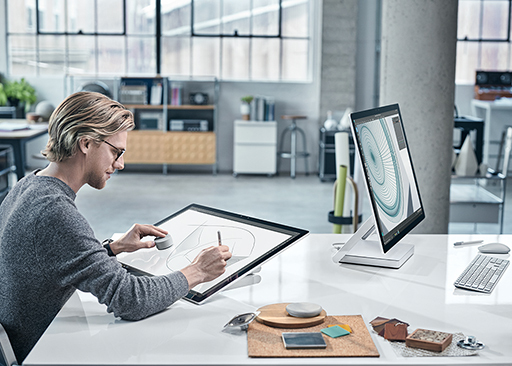 * Surface works perfectly with the full suite of Office products, driving your productivity to new heights. The next generation of Type Cover. The ultimate modern writing experience. Transform your Surface into a complete workstation. Get help from Microsoft Experts. *Indicates stores with Microsoft Experts. *Up to 14.5 hours of video playback. Testing conducted by Microsoft in August 2016 using preproduction Intel Core i7, 1TB, 16 GB RAM device. Testing consisted of full battery discharge during video playback. All settings were default except: Wi-Fi was associated with a network and Auto-Brightness disabled. Battery life varies significantly with settings, usage, and other factors.